Streamshare is a professional web optimisation company, assisting business owners across Australia to leverage the power of increased traffic into more customers and bigger profits. It all starts with ensuring you have a properly structured website that ranks prominently in the Search Engines, attracts visitors and converts those visitors into new customers. Our site audit is an in-depth review of your website and helps us to find and correct any on-site and off site errors and issues that may be hindering your online visibility. Some of the factors that will be revealed with a site audit include broken links, number of pages indexed, on page analysis, backlink analysis, is the site mobile friendly, site speed. Tools used include Google Web Console. In order to get a great understanding of your business we identify your main competitors (with your assistance) and look at what they are doing well in terms of on page and off page SEO, what keywords they are targeting, their content etc and then devise a plan to do it better! Once we have completed our full site audit and competitor research we are now in a position to devise a plan of action for moving your keywords from where they are now to the top of page one of Google. Every month you'll receive a report outlining keyword rankings and traffic to your website using Google Analytics. We also encourage clients to send us anything that may assist in their SEO campaign: items such as images, video and content that can be used on and off site. 1. Keyword research is crucial to your success. Without proper keyword research, there’s no way to determine which keyword phrases are being searched in your market. Plus, some phrases are too difficult to tackle in the early stages of search engine optimisation. It’s best to go after the low hanging fruit, and then allow time and authority to help improve your overall rankings for the tougher keyword phrases. 3. OFF PAGE SEARCH ENGINE OPTIMISATION. Off page search engine optimisation refers to backlinks on other sites which link to your website. Search engine marketing companies offer link building services. Think of it like this; on-page SEO is the engine of your vehicle (your website) and off-page SEO is the fuel that makes the engine work. 4. CONTENT CREATION - FEEDING THE SEARCH ENGINES. 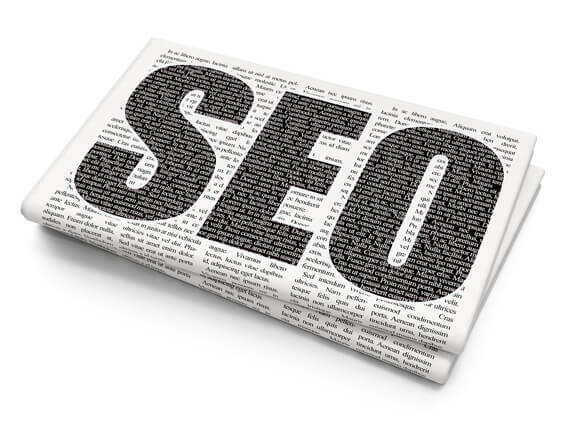 The Search Engines love content and are always looking for fresh content to index. Content creation is a major part of any good search engine optimisation campaign. "We started with 2 of us and now employ 14 people. Our turnover has increased by an incredible 900% since 2015. So grateful. “We can highly recommend "Streamshare Digital Marketing Company" for SEO, Google Adwords, Web Design and Internet Marketing; simply check out our new website, (it is great); they have guided us through the whole process and are delivering the results." "We have grown from a 2-person team in 2015 working from home, to a large factory space where we now also manufacture our own product. We currently have 4 full-time staff and 2 casuals and looking for another person to join the team thanks to "Streamshare Digital Marketing Company". Could not have had a better team to have on board for our SEO, Adwords Management and website management. I would highly recommend the "Streamshare Digital Marketing Company" team to anyone except my competitors." “We have been very excited by the results of the SEO campaign that "Streamshare Digital Marketing Company" put together and have achieved for us. Never before have we had customers say, "we saw your website and just had to come into the store". Technically Search Engine Optimisation (SEO) is the science of manipulating Google and other search engines to get your web site to appear higher in the search engine results for very targeted key words or key phrases for your business. What does this mean for you? We know that when your important keywords appear in the top 3 positions organically or in the local map listings, your phone rings, your door swings and your email enquiries soar. Online reputation management “buries” the negative reviews by moving them to page 2 and 3 of Google. Google Adwords is a powerful tool and, used wisely and correctly, it can generate highly targeted leads for your business. You have to know exactly what you are doing however, or Google will vacuum all the cash out of your wallet. In fact, Google Adwords could be the fastest way to bankrupt your business if you don’t know what you are doing. Our Adwords management experts can navigate the tricky waters of Google’s most complex tool and potentially bring you all the leads you need, to make your business the raging success it deserves to be. Google makes 500 changes to its algorithms every year and 2 or 3 of these are significant updates. You will no doubt have heard of Penguin, Panda, Hummingbird and various other Google algorithms. They are horror stories for any webmaster or business owner who has had their traffic dry up overnight because of some unknown transgression. For 9 years we’ve been rescuing websites that have been penalised by Google for poor content, backlinks or user experience. If your website has taken a hit, give our team a call. Do you have an online business where you are the expert but you are really struggling with your online marketing? We do take on a very limited number of Joint Ventures with some businesses where you provide your expertise and we provide the expertise to get traffic to your site and get your site converting. Do you have an online business that you have developed that you no longer want to persist with. We Have Been Getting Clients Sites Ranked Number One In Google Since 2009. We Make Our Clients Money. The team at Streamshare Digital Marketing are here to help you grow your business. We will do a confidential full audit of your current online marketing strategy to best determine the most cost effective strategy for your business.